Vikings able to contain the Tigers; keeping playoff dreams alive. The Herbert Smith Freehills HKU Sandy Bay Vikings face the Borrelli Walsh USRC Tigers 2 for their last game before Chinese New Year. Tensions were high as both teams have beaten each other during the season, who was going to pull ahead in this fixture. With the prems beating the tigers in the earlier fixture, it seemed to look like the game before the Christmas break. With Chinese New Year coming up, Vikings players were rare to come by, resulting in coach Thierry Barot scrambling to find players. The team were made out of players from the Prems, Vikings, Raiders and Wizards (HKU Students), the rag tag team of players were lead by none other than Jacob Rumball. The veteran and season harden Vikings players Rory Cinnamond, James Rees, Karl Redmond, william tope, jonathan cimmerbeck and Rodrigo Castanheira made up the backbone of the starting 15, and also welcoming back Web Vueti at 8. Tigers started the game off well scoring a converted try within three minutes of the kick off, Vikings hit back with two tries through prop Rory Cinnamond at the 23 and 28 minute mark and william tope slotting one out of two conversions. It was 7 - 12 to the Vikings before the half time whistle. As the second half began, the tigers quickly score a try but miss the conversion, making it 12 all. The Vikings hit back and score a converted try at the 64 minute. The tigers were not going to give up the fight, equalising the score at 19 all with 8 minutes to go. The final try of the game was scored by debutant Fred Cracknell, unfortunately the conversion was missed by william tope. With the final 5 minutes of the game the Vikings were up 5 points and in their red zone. The Prems in the stands began taking off their shirts to cheer on their Sandy Bay breathers and possibly to distract the opposing Tigers players. As the ref called full time (24 - 19), the stands erupted finally ended the tight and well fought game. 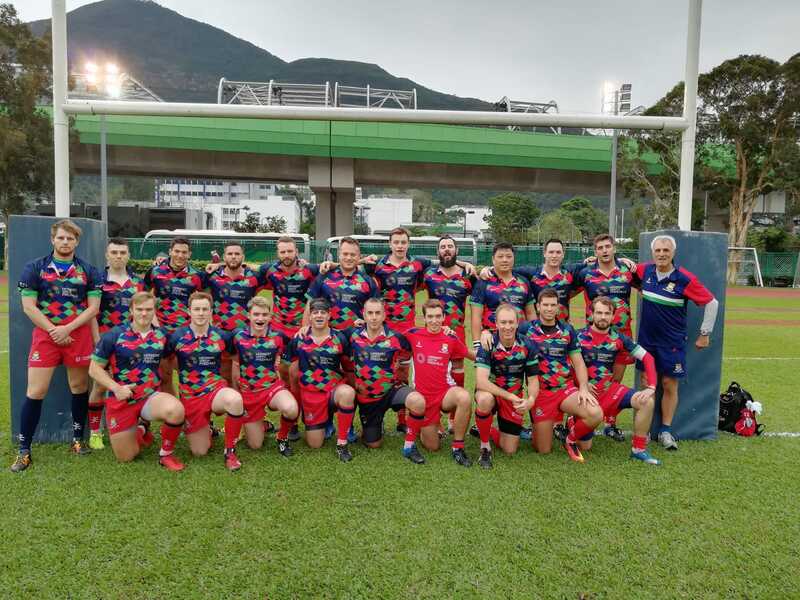 The Herbert Smith Freehills HKU Sandy Bay Vikings look to play Societe Generale Valley Knights at So Kon Po on the 16 of February, with a 4:30pm kick off. With this crucial game, the playoffs hang in the balance. With the season coming to a close, we say goodbye to our two young Vikings Jack Hodgson and Finley Schmidt. They both are heading to Australia for further studies. From everyone at the Vikings and Sandy Bay, we wish them all the best with their studies and future endeavours and look forward to their return to club colours. Vikings Man of the Match: Fred Cracknell & Lewis Fraser.